Space freighter co-captain, Matt McGregor, is worried. 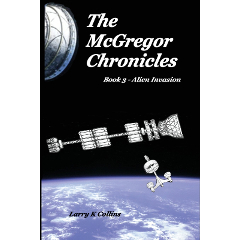 His father’s ship, the McGregor-7, has not returned from the Triangulum Galaxy. A cryptic message from the Federation Battle Cruiser Majestic warns of an attack and an alien virus. Matt, his bride, Tracy, along with older brother, Marc, sister, Maddie, and Federation Investigator, Jake Stevens, push their modified freighter to its limit to reach the far galaxy. 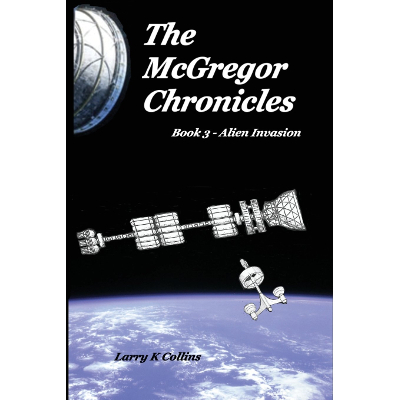 Once there, they discover political intrigue, ghost ships with dead crews, a seemingly unstoppable epidemic, and an intelligent alien species. Are the aliens responsible for the virus? Can the outlawed nanomedical robots in the bodies of Matt’s crew save them? And what is the fate of his parents and their ship?